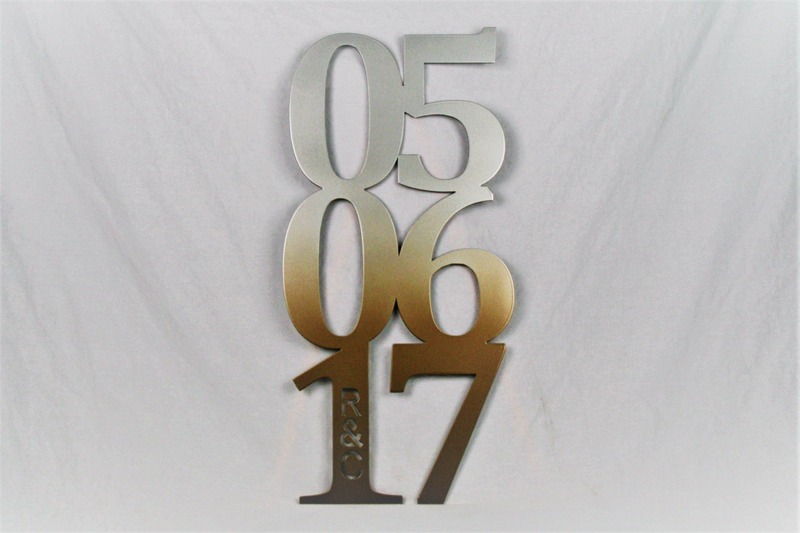 This customized date sign can be used as wedding decor or a gift for the new bride and groom. 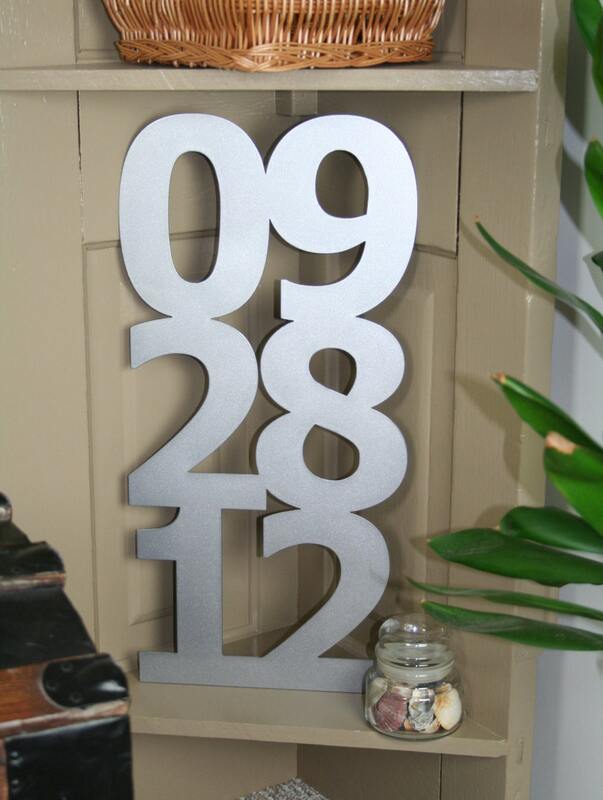 Also consider this item for a birth date, adoption date or any other special day! 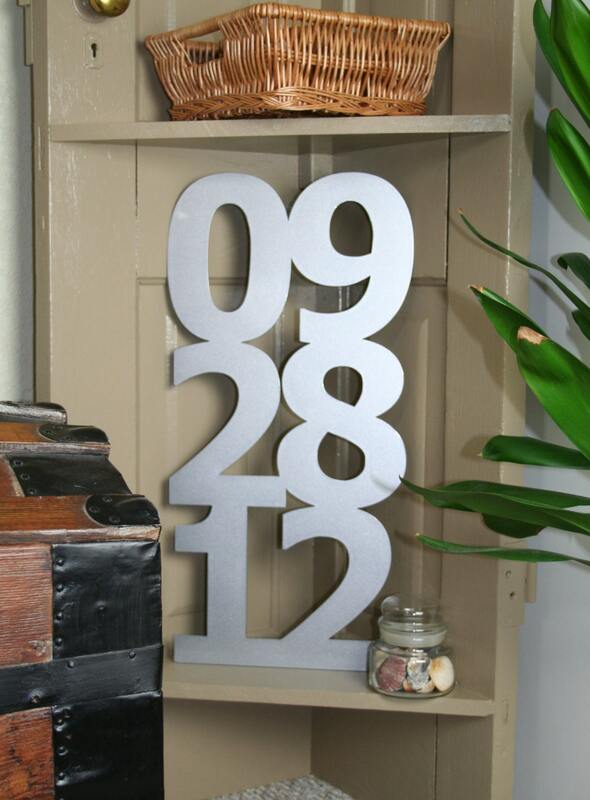 A group of date signs makes a great statement wall! Ask us for quantity discounts if you'd like birth dates for your whole family or children. 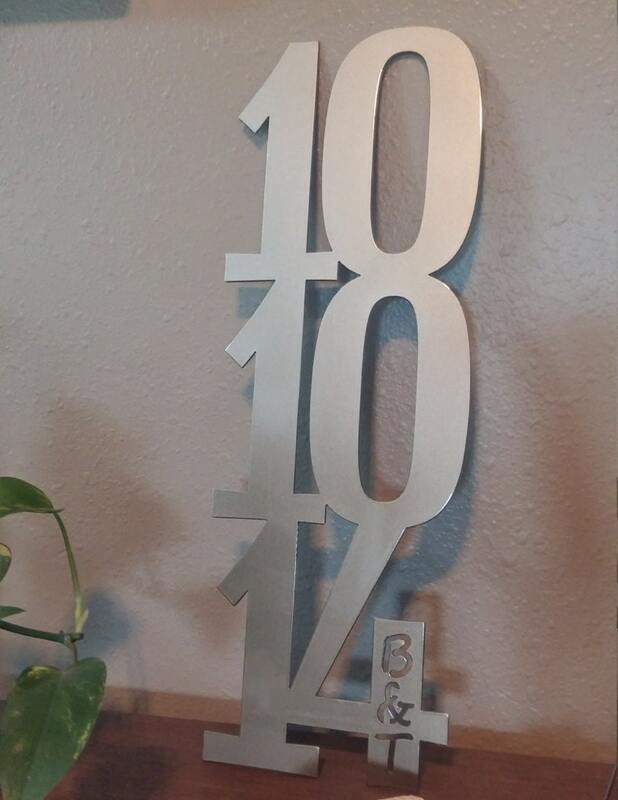 Glossy sign is 22" tall and cut from steel about as thick as a nickel. It's a sturdy, lifetime art piece! 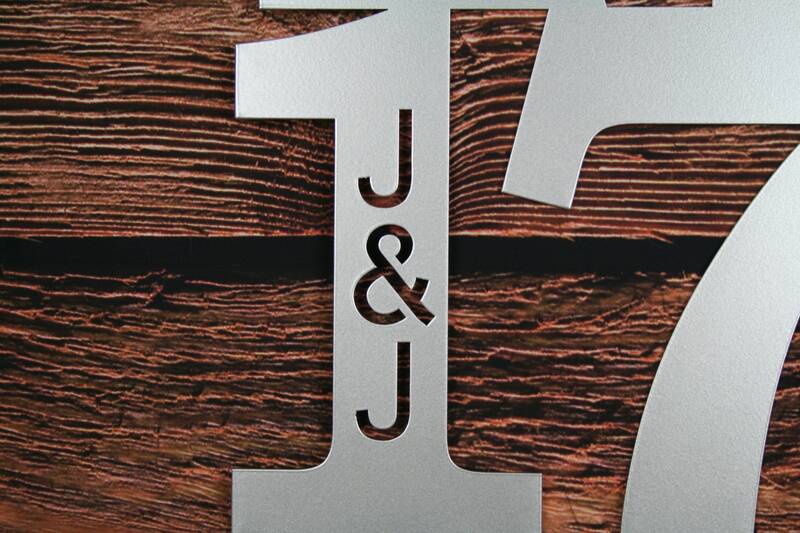 This beautiful custom sign can be made with or without initials. If you would like initials please enter them at checkout. You will have an opportunity to leave us a note before completing checkout. All dates and years are different, so please allow time for design variations to be provided to you. 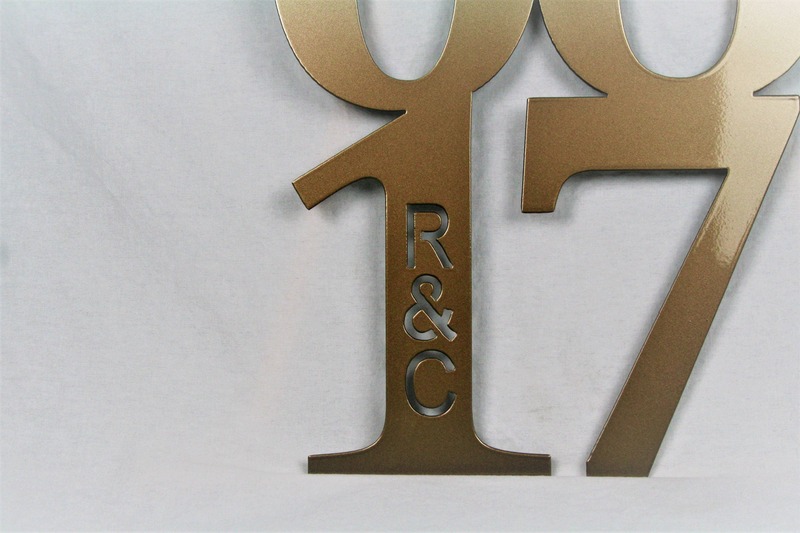 We strive to design the best product for you, so we will work hard to ensure you are happy with the design before the sign is cut. 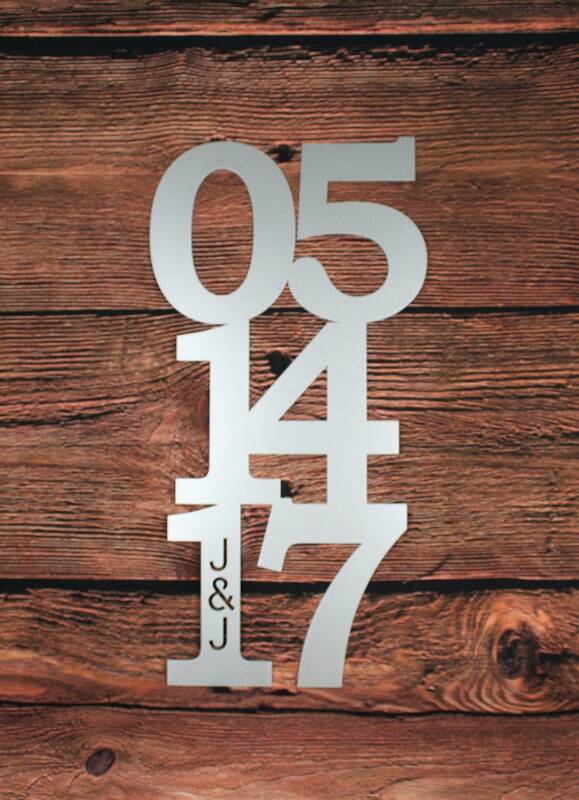 All Anniversary Date signs ship for FREE! 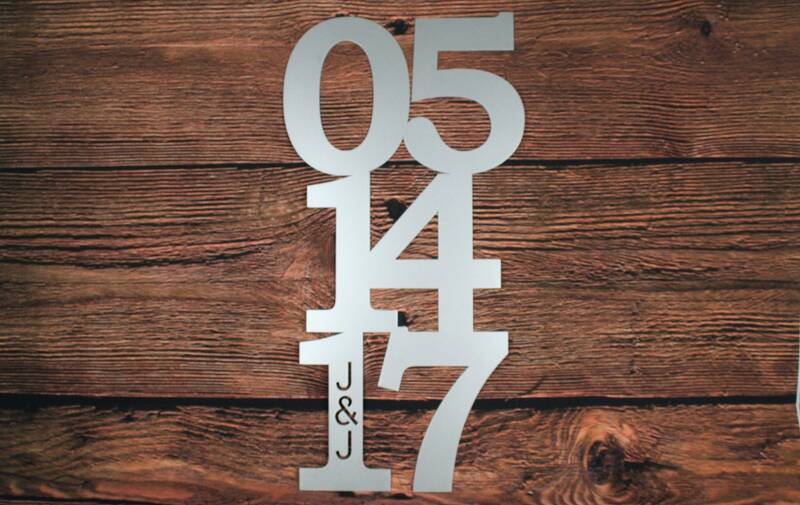 We hope you love our custom wedding and home decor as much as we love creating it!